Telstra has been unveiled as the most valuable brand Down Under, marked by a small increase in worth from $14,274 million to $14,581 million. CommBank has overtaken ANZ to secure second place. Woolworths experienced another dramatic decline in brand value, falling again in 2016 from second place to reside at fifth place. In contrast, rival Coles experienced the largest gain of any Australian company jumping to sixth place on the list eight place. Globally, Google has ruffled Apple’s feathers after it was crowned the world’s most valuable brand, pushing Apple to number two after five years at the top. In another shakeup Lego has replaced Disney as the world’s most powerful brand, with Disney slipping behind the likes of Nike, Google and Visa to settle at sixth place. The Brand Finance Global 500 and Australia 100 research ranks brands by monetary values and calculates the most ‘powerful’ brands, as defined by the companies whose enterprise value is most positively impacted by the strength of the brand. Also in the top 10: NAB, Westpac, BHP Billion, Optus and Macquarie. Telstra, CommBank and ANZ have topped the list of Australia’s most valuable brands. 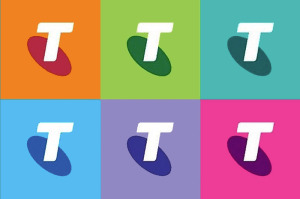 It is the second year Telstra has been unveiled as the most valuable brand Down Under, marked by a small increase in worth from $14,274 million to $14,581 million. CommBank has overtaken ANZ to secure second place.